Middlebury Pizza in Middlebury, CT offers pizza and a wide range of Italian cuisine that will leave your taste buds asking for more. 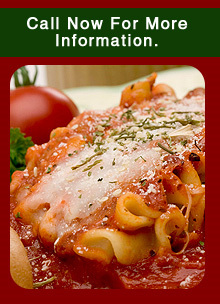 We have appetizers, pasta, baked pasta, and salads to name a few of our delicious food choices. We also have catering and party trays for any occasion. Contact Middlebury Pizza today at 203-758-1835 for all your pizza needs. Ask for the soup of the day. Click here to view our menu. *Prices are subject to change.